Unbelievable …. Dirt biking is now becoming Water Biking? 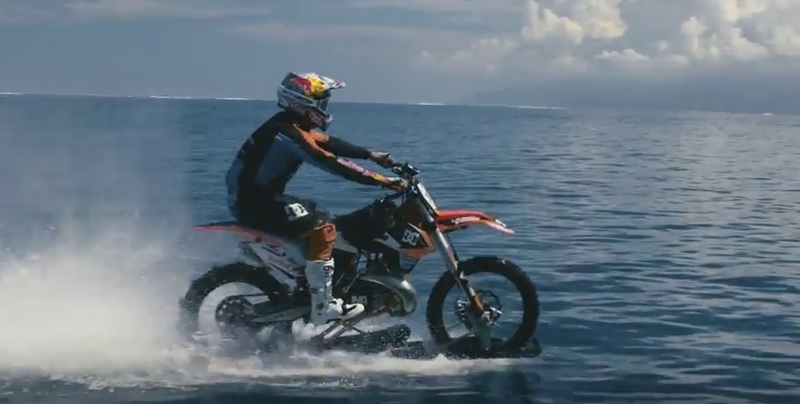 Ok, so Robbie Maddison has made his dream a reality of surfing with his motorbike. Riding his dirt-bike across the sea in the Pacific Ocean off of French Polynesia he makes moves across the waves that can leave you scratching your head in amazement as well as confusion. I hope he is on the lookout for dive flags as he zips over the surf though. Watch him BUZZ the beautiful tranquil waves of the pacific in the following video and please share your thoughts with us.